Born from the pits of Hellfire2345 and lemurboy12‘s imaginations, Jamie’s Mod is possibly the best-known Half-Life crack mod. All models and weapons in the original game have been mashed with obscure YouTube characters, and then corrupted in some way. The result is an experience akin to what would happen if late-2000s YouTube became sentiment and began assimilating games. And it’s wonderful. Russian-made G-Man Invasion replaces every character and creature model with the G-man. Yes, even the roaches. Like Jamie’s Mod, it’s a hilarious twist on the base game. The tiny rodeo G-Men riding snarks are the most crazy thing. Sometimes it wonderfully crosses over into the horrific as you realize that the barnacles are gaping G-Men maws. Only a demo of this mod exists due to bumpy development. The original mod never got finished, and two separate attempts to revive the project failed as well. Cat-Life: GS was the first remake attempt and only playable content available. 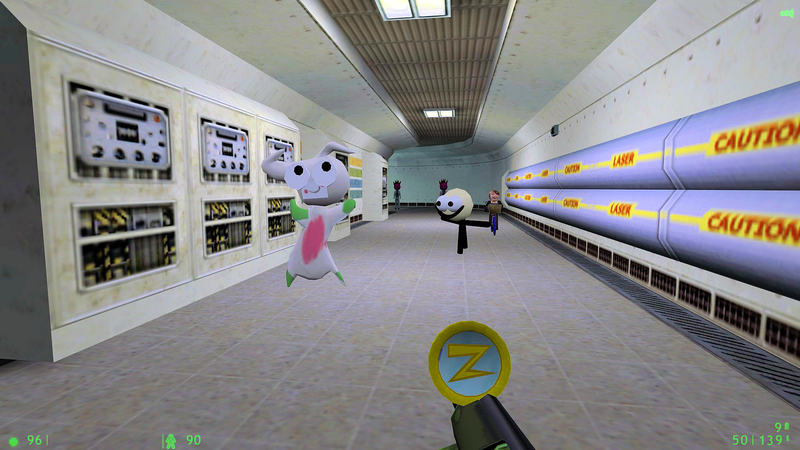 Despite the issues, the concept is still amusing – You experience the events of Half-Life through the eyes of Newton the cat. According to the concept art, Newton was even going to have a miniature kitty HEV suit. Awww. Not so much a mod as it is a single map. Though simplistic, it’s hilarious because it’s not just nonsensical. It also follows the logical pattern set by the core Half-Life games: You’ve played as a scientist, security guard, marine, and even as a vortigaunt in Decay. 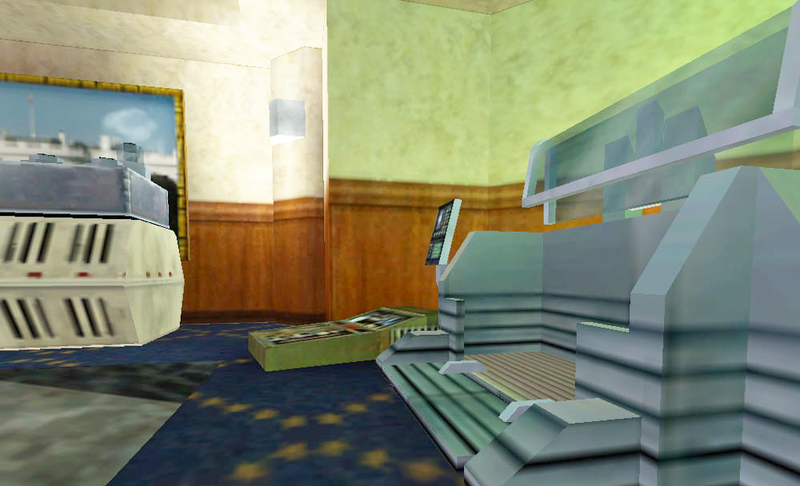 In Half-Life: Alternative Origin, you ‘play’ as a vending machine. Half-Life 2: Survivor is not a mod, it’s an actual Valve game licensed to Taito Corporation. 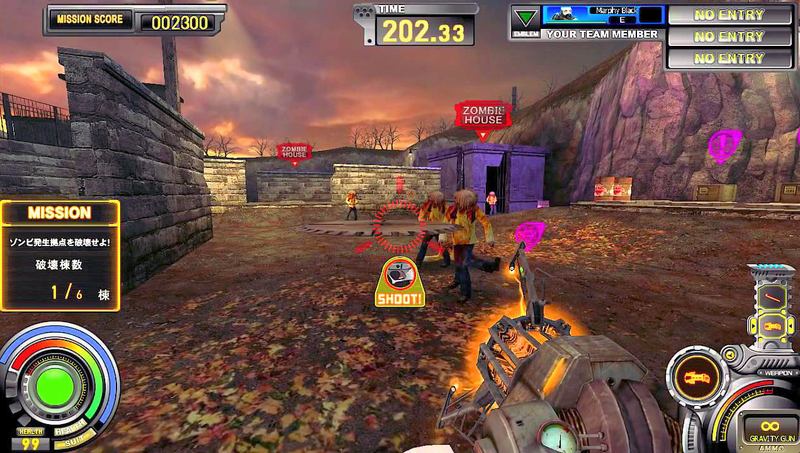 It is tailored for Japanese audiences and meant for arcade cabinets. If you are having stereotypical expectations, fret not. You’re right about them. The female rebel is what appears to be a non-mixed Asian Alyx, and you can dress her up in kitty ears. Girl Gordon’s HEV even has a little skirt attached to it. At the end of a game, the screen bids you goodbye with the following sentence: “Your fighting spirit will not be forgotten through all eternity”. There is now a PC port that you can play, courtesy of people over on the Facepunch Studios forums. Before Jamie’s Mod there was SSH: MM1: WTF. 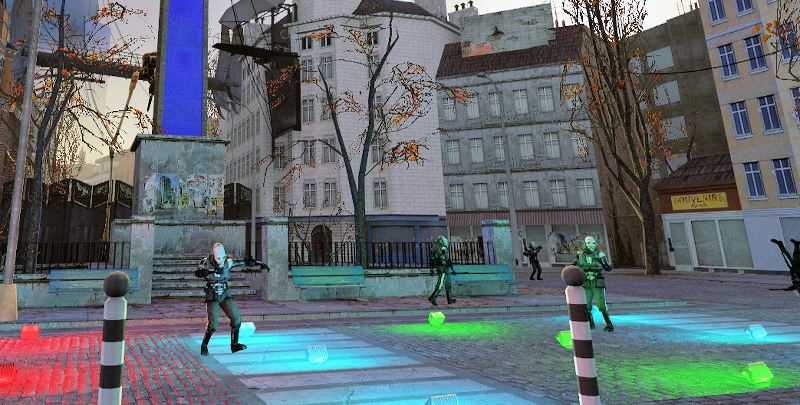 Like the former, it’s a corruption of the first Half-Life game, though with cruder humour. Scientists tend to explode into an excessive amount of gibs and blood decals. Sign textures have hilariously been replaced with curse words. This mod should appease everyone’s inner 12-year-old. Except for ambient noises and character dialogue, Trase666 replaced every single sound file in Half-Life 2 with his own voice equivalent. He’s no Michael Winslow, which makes the whole experience even funnier. Remember when you were a kid and you had to make the sound effects for your action figure fights? (Or maybe you still do that, I’m not here to judge.) Yeah it’s exactly as much fun. The original YouTube video that Trase666 uploaded has since amassed nearly 2 million views and even made an appearance on G4TV. Everything in this mod wants to kill you. And you will die a lot, in hilarious ways. Like an old-timey Megaman game, you’re expected to learn from your deaths and become increasingly paranoid of your surroundings. A wall pipe will never again be just a wall pipe; it is now a potential bomb of hot steamy demise. A patch of floor texture discolored by just one degree? It’ll break when you step on it, making you fall onto spikes underneath. Or just explode. 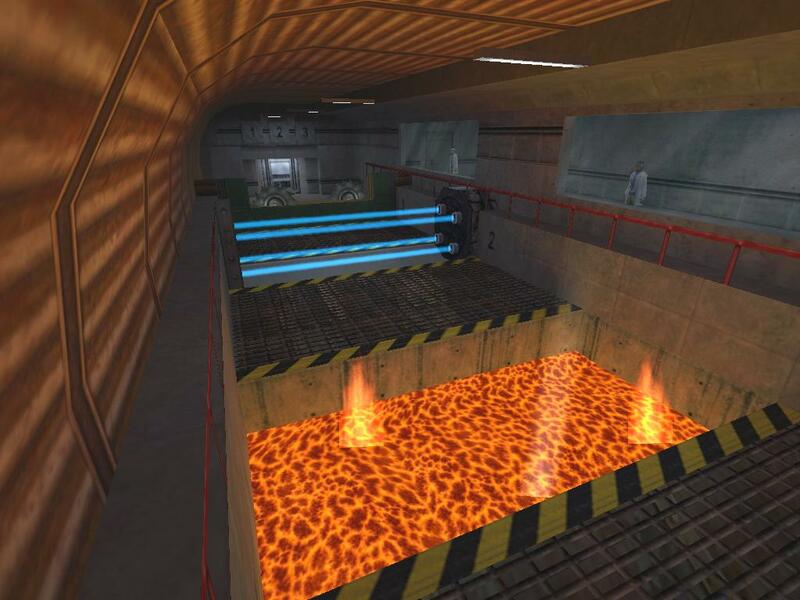 Not stritcly Half-Life-themed, but it makes the list for its history. 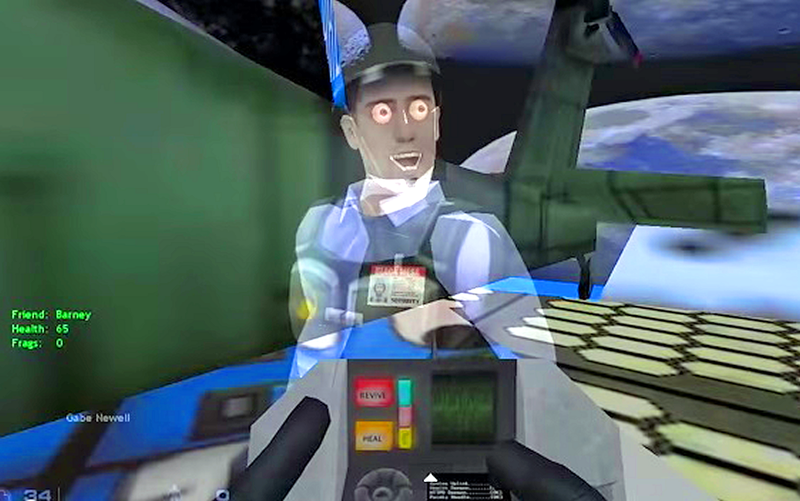 Way back in 2008, the Janus Syndicate uploaded a TV commercial parody of a fake child-friendly edition of Counter-Strike to the Machinima.com YouTube channel. This was done in response to how very young children began playing the game online as it gained popularity. In 2010, Codemanj94 uploaded a real, working pack mod for Counter-Strike: Source based on the video. Now you too can throw a pokeyball at your friends, or have a pillow fight! This mod is the only reason They Hunger did not make this list. They Hunger at least tried to be scary, and achieves it in places. 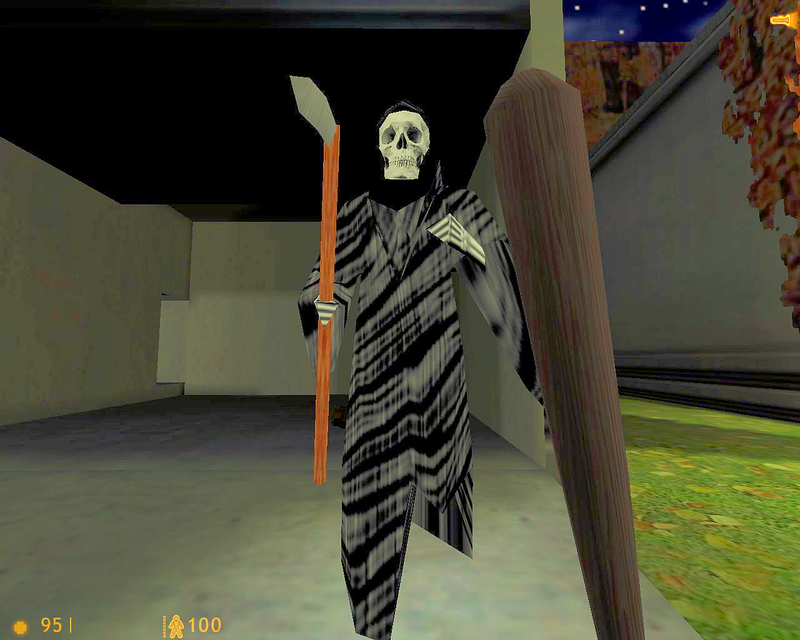 The Half-Life Halloween Mod, however, is the mod equivalent to Halloween as explained by a 10-year-old on a sugar high. The best part about this mod is how few pretences it has. It’s crude: the forest segment is just a winding corridor with tree wall textures. Glitch-Life plays more like an art game than a comedy mod. Textures and animations are randomized with each playthrough, creating a bizarre experience. Like Jamie’s Mod and G-Man Invasion, this is a corruption of the base game. Watch in awe as a lone scientist spins inside a room plastered with pictures of skulls. What Jamie’s Mod is to Half-Life, Mr Propper is to Half-Life 2. The only difference is a slightly more coherent theme – A lot of the models are themed with bathroom cleaning products. Not all, though. Watching civilian M&Ms being brutalized is as funny as it sounds. Unfortunately, the creator, Flagg doesn’t seem to have released it anywhere. Half-Mind is a Half-Life 2 corruption, like Mr Propper. It’s subtler, though, and feels like a European student art film. At times it seems to only be missing the dissonant violin cords, or Dear Esther-like narration. But then the combine soldiers start breakdancing. Before Pyroland, there was Big Lolly. 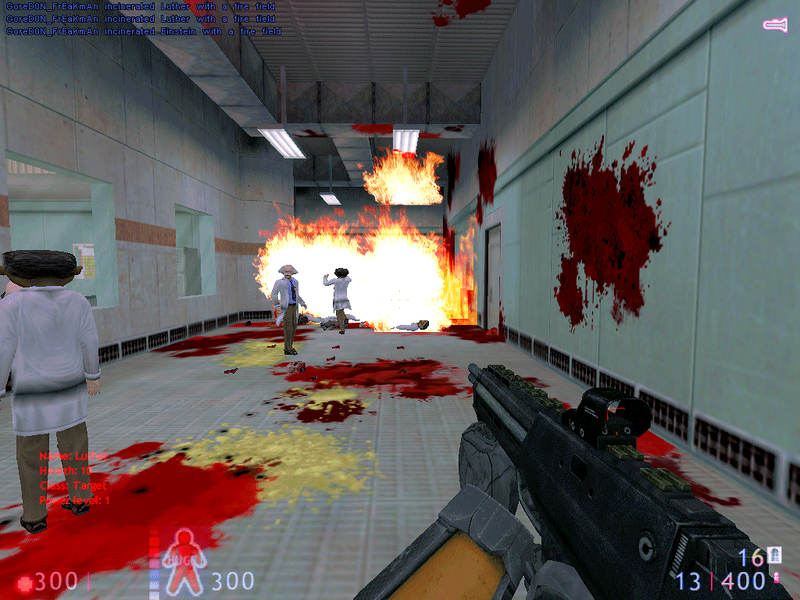 In fact, modder Cayle George has since been hired by Valve and worked on Team Fortress 2. 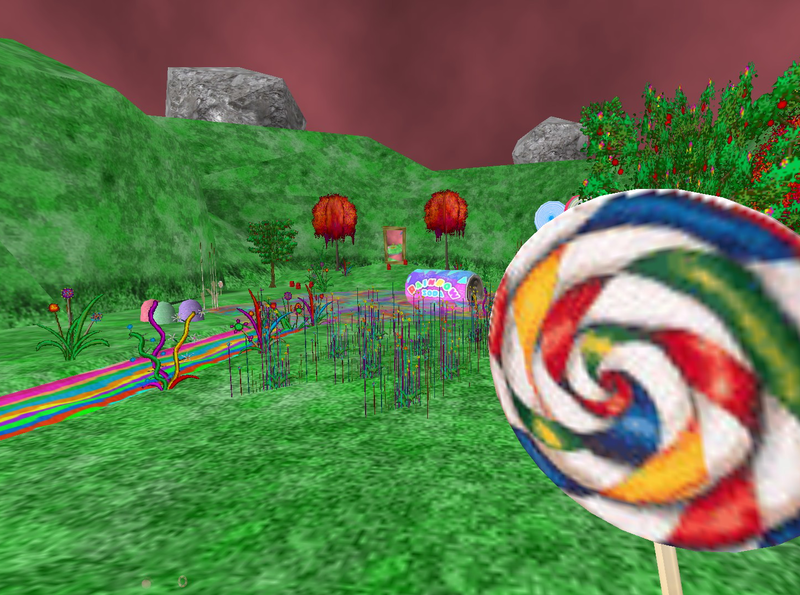 Created for his brother’s birthday, Big Lolly is an magical candyland adventure. You play as Barney Calhoun in a pink tutu, making your way through sugary valleys while whacking at adorable gummybears with a lollipop. Similar to Jamie’s Mod and SSH: MM1: WTF, but perhaps less well-crafted. Keep in mind it’s still being worked on, and it does have its highlights. Snarks screaming obscenities as they chase you is the funniest thing I’ve seen in a long time. Although it doesn’t make the list, it’s only because of how beautifully done it is, and because it hasn’t actually been released yet. From what we can judge from the material online, however, I can safely say that while it is a hilarious deathmatch full conversion, calling it a ‘wacky mod’ would not be doing it justice. Didn’t make the list proper, like Jaykin’ Bacon. This Halloween-themed full conversion mod is worth taking a look at though as it shows an impressive technical knowledge of the GoldSrc engine. Nowadays the mod comes with a ton of content from the forums, a lot of it very wacky indeed. What makes this mod funny is the ability to play the original Half-Life in co-op mode, which makes for hilarious situations. As the humour comes from interaction with other people, I’d have to include virtually every other multiplayer mod as well if I was to include this one. Because it generated an entire Internet subculture and because it is now a stand-alone commercial title, I felt including it would be cheating. It is wacky, though. In fact, it started the whole “physics are funny!” fad popular today. This list is by no means exhaustive. There is a whole wealth of interesting and unique user-created mods out there waiting to be found. Many of these are quietly hosted on sites like GameBanana or on the Facepunch forums, and only get famous once a popular mainstream board or vlogger features them. This is why mod-hunting is rewarding. You get to find amazing things first-hand. 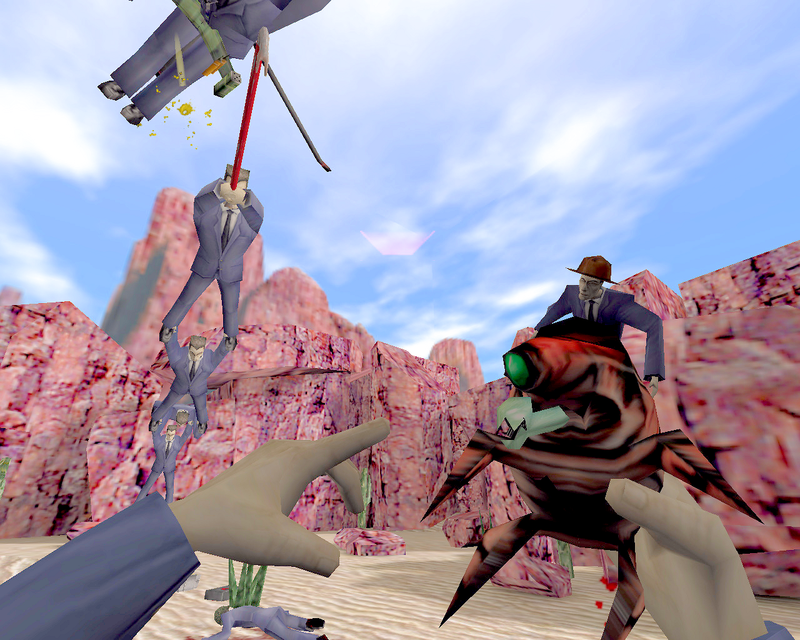 Do you know any other wacky Half-Life mods which we didn’t feature? Let us know about them in the comments below! You can also Tweet us @LambdaGen or post to our Facebook Page or Steam Group. Oh… hi. You’re welcome. Maybe I can eventually reach 100K downloads. Ah, the good and old CS: for kids. Good times on yt when Mashitma was a thing.